Pumpkin season is here and we couldn’t be more stoked. Whether you’re carving pumpkins for Halloween, making a pumpkin pie, or just roasting the seeds, it’s easy to end up with a slimy mess. Who needs that? That’s where this Pumpkin Gutter from William Sonoam comes in. It’s all you need to clean out this year’s pumpkins with speed and perfection. 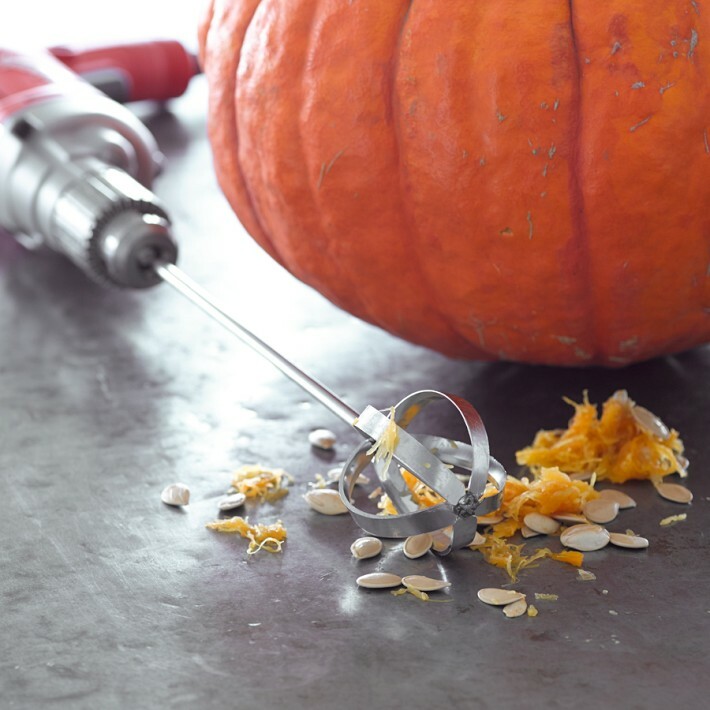 Within seconds, the stainless steel blades, which can be attached to any drill, scrape out the stringy insides of the pumpkin, making for easy carving, and more importantly, seed roasting. Once the seeds are out and dried, they can be mixed with your favorite spices, sweet or savory, and then roasted and tossed in everything from salads to soups or cakes and muffins. Don’t wait until you’ve got a mess on your hands when you can order a Pumpkin Gutter. Happy pumpkin picking!